Torrance at it's finest...NEW CONSTRUCTION with all the bells and whistles!!! 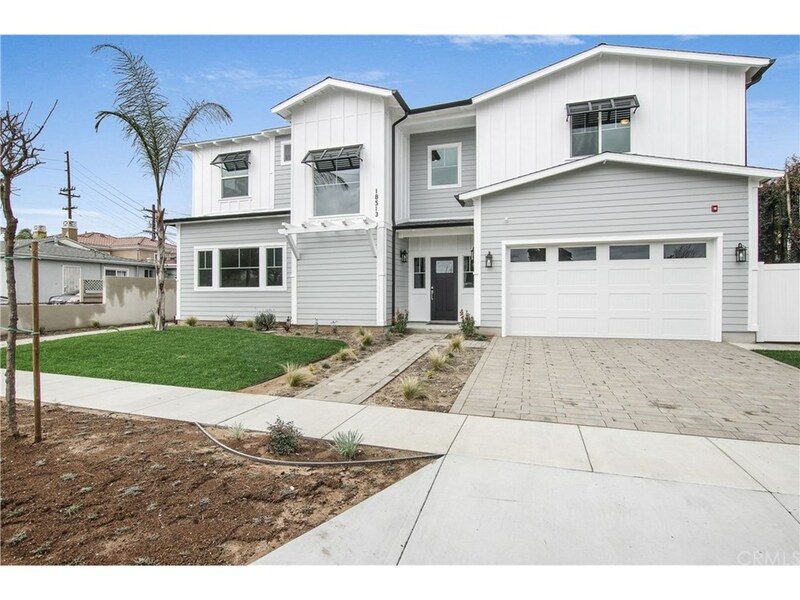 This beautiful, open, "Modern California Craftsman" is the front unit of two astounding, free-standing homes in Torrance with approx 2,460 sqft (per Architect plans.) You'll be in awe as you step into this bright & beautiful, open floor plan with soaring, 10 ft ceilings on the main floor and open floor plan encompassing the living and dining areas, kitchen with built in cook top and "color quartz" counters, sparkling tile backsplash, white ceramic farm house sink and Kitchen Aid stainless steel appliances. Follow the wide, handsome staircase with modern, iron guardrails upstairs to the second floor with 9 ft ceilings and you'll find 4 bedrooms including the master with private bath, dual vanities, separate bath & shower with enhanced reflective tile, second bedroom with private en suite bath, 2 additional bedrooms and 3rd full bath with color quartz counters and brushed nickel fixtures. Don't miss the laundry room and clean, white cabinets along the hallway for "linens and things." There is a private, covered patio with gas hook up for outdoor entertaining and turf to maintain a manicured, clean & tidy yard year round. Some of the "invisible upgrades" include a tankless water heater, Pex plumbing, Liftmaster belt driven/insulated garage door, conduit prepped for solar panels and more! Close proximity to shopping, restaurants, Columbia Park, award winning Torrance Schools & more!